Showing results by narrator "Gayatri Devi"
Narrated by: Gayatri Devi M.D. When you are calm, your mind and body are in a state of focused awareness. You are in your “zone”, performing at your peak. 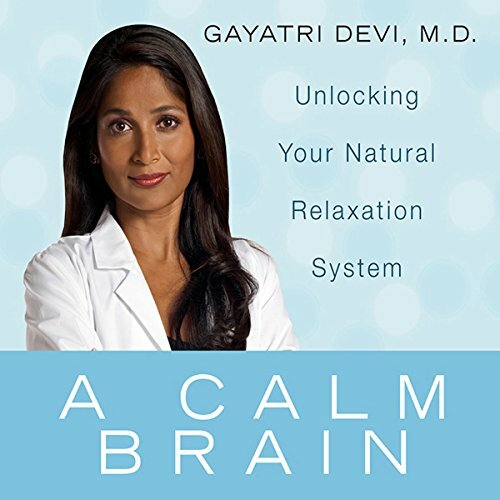 Now, in A Calm Brain, Dr. Gayatri Devi shows how you can cultivate this optimal mental and physical state by tapping into your body’s hard-wired natural relaxation system. Our bodies have been trained to react to the beeps and alarms of all our different technologies, be it the ever present cell phone, an angry text message, or a frantic voicemail. The result is chronic stress. There is hope.